Ketamine (also known as “Special K or “Vitamin K) was originally developed as an anesthetic for animals and is sometimes used in human surgery. Some ketamine users become addicted to the pleasurable effects of the drug and the altered states of consciousness that it brings. 1 Long-term ketamine use can lead to heart and kidney problems, and it puts users at a higher risk of developing depression, psychosis, and memory problems. Who Answers? to talk to a treatment support representative about ketamine rehab centers in your area. Improved physical health – Long-term ketamine use can result in stomach pain and ulceration, bladder pain, and kidney problems. 3 Quitting ketamine may help improve physical health and prevent further damage to the body. Improved mental health – Ketamine can have negative effects on a person’s mental health and cognitive functioning. 3 It can cause problems with memory, and it can increase the likelihood of developing depression and anxiety. Some ketamine users also find it difficult to concentrate and learn new material. Giving up ketamine can provide the opportunity to treat mental health symptoms and prevent further memory problems. Better relationships – Drug use can have a negative effect on relationships with family and friends. Quitting ketamine can provide the chance to rebuild relationships harmed by addiction. Better functioning – Using ketamine may also affect performance at school or at work and make it difficult to manage responsibilities. Giving up ketamine may improve focus and the ability to carry out responsibilities. There are many benefits to quitting ketamine. Making the decision to quit and taking the steps to begin the process can be challenging. But treatment programs can provide the support and tools needed to begin recovery. Some people choose to quit ketamine on their own, while others choose to attend a treatment program. Therapy- Treatment offers different types of therapy, including group, individual, and family therapy. Further, therapy may focus on different topics, such as education on drug use, exploring past trauma, and relapse prevention. The variety of therapies and topics offer something for everyone. Structure – Treatment programs have rules and standards, including no drug or alcohol use. This reduces temptation, which is important during early recovery when cravings are strong. 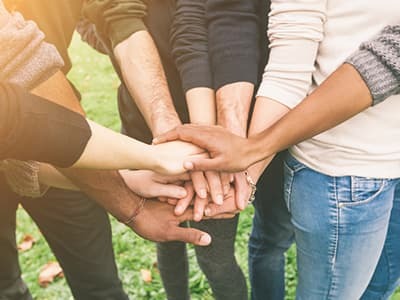 Peer and staff support – Many people who attend treatment programs report benefits from connecting with other people with similar problems. The experience of feeling supported by others can instill a sense of hope and allow you to build sober relationships. Inpatient treatment offers detox and daily intensive therapy along with temporary housing. Inpatient treatment stays can range from a few weeks to several months. Outpatient treatment offers individual or group therapy sessions for one or more days per week. People in outpatient treatment reside at home, rather than at a treatment facility. Group counseling is a component of both inpatient and outpatient treatment. Group counseling topics may include coping skills, processing emotions, and relapse prevention strategies. Individual counseling is one-on-one therapy between a recovering user and a therapist. It is a component of inpatient and outpatient treatment. 12-step programs are a type of treatment program based on the 12 steps of Alcoholics Anonymous. Twelve-step programs incorporate spirituality with peer support. Dual diagnosis programs assess and treat co-occurring mental health or medical problems in people who are abusing drugs or alcohol. Ketamine users who additionally struggle with issues such as depression, anxiety, and post-traumatic stress disorder would benefit from seeking out these types of programs. Outpatient treatment includes many of the aftercare recovery efforts sought by those who’ve completed an inpatient or residential program. Ongoing outpatient substance abuse treatment allows people to receive additional support in a less structured environment. Counseling can be a helpful periodic aftercare option when transitioning from a formal inpatient or outpatient treatment program. People typically meet with a counselor or therapist at least once per week. Sober living facilities are homes for people in early recovery. Residents at sober living homes are expected to stay sober, attend recovery meetings, and abide by house rules. 12-step meetings, such as Alcoholics Anonymous and Narcotics Anonymous, are free meetings for people looking for a supportive and spiritual approach to recovery. Members are encouraged to find a sponsor, attend meetings consistently, and go through the 12 steps with a sponsor. Support groups are free meetings for people in various stages of recovery. Support groups include SMART Recovery, Women for Sobriety, LifeRing Secular Recovery, and Secular Organizations for Sobriety. Some ketamine users have reported cravings, anxiety, sweating, and shaking. Body type and physical health. Medically supervised detox for ketamine may be warranted if you have any pre-existing medical or mental health issues or experience pain, discomfort, or other significant challenges to your sobriety when trying to quit. It is always recommended to discuss your drug use and health with your doctor. Think about the pros and cons – Make a list of the pros and cons of both using and quitting ketamine. Take careful note of the cons of using and the pros of quitting. Keep the list of reasons why you would like to quit handy and refer to it as needed for additional motivation. Identify your triggers – Being aware of your triggers is the first step in figuring out how to deal with them. List the people, events, situations, thoughts, and feelings that trigger you to want to use drugs. Create a relapse prevention plan – Once you are aware of your triggers, you can develop a plan for coping with them. Some triggers can be avoided, such as certain people or neighborhoods. Other triggers, such as stress, cannot be avoided and must be dealt with. Make a list of healthy coping strategies for managing each trigger. Practice self-care- Taking care of yourself can reduce stress, anxiety, and depression, all of which can put you at risk of relapse. Remember to incorporate healthy activities into your daily routine, such as exercise and meditation. Many people find that quitting drugs is difficult to do alone. They choose to enter treatment for the additional support and to gain an understanding of why they began using drugs in the first place. If you are trying to quit ketamine, consider seeking professional help or consulting with an addiction professional. Confrontation- Taking a confrontational approach to a loved one’s addiction can cause him or her to be defensive. Judgment – Being judgmental may make a loved one feel criticized and lead to feelings of shame. 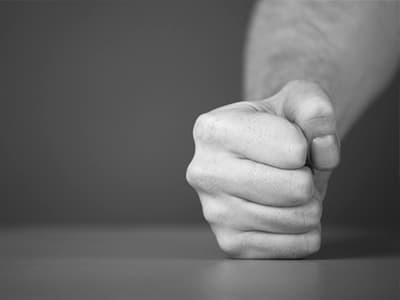 Aggression – While you may be angry about a loved one’s drug use, being aggressive can cause additional conflict. Threats or demands – Demanding that a loved one quit using or go to treatment may have the opposite effect. Express your concern in a loving and caring manner. Respectfully tell your loved one how his or her substance use affects you. Use “I” statements to express your feelings. Consider creating a list in advance of ways that you can assist and support your loved one if he or she agrees to get help. Withdrawal can lead to cravings and medical and mental health complications. Research has yielded conflicting findings about ketamine withdrawal.1 Some ketamine users experience withdrawal symptoms when they stop using, but it is unknown if ketamine withdrawal is dangerous. Physical complications. Ketamine use can have serious effects on the body. Those considering detox would benefit from undergoing a thorough physical evaluation and receiving appropriate medical care, if needed. Mental health complications. Mental health symptoms, including anxiety and depression, may increase during withdrawal. Cravings. Withdrawal can lead to strong cravings, which can increase the risk of relapse. Ketamine users would benefit from meeting with a doctor or undergoing a medically supervised detox to ensure that withdrawal symptoms and any pre-existing issues are closely monitored. If you would like assistance finding a ketamine addiction treatment center, call our helpline at 1-888-319-2606 Who Answers? . Our representatives are available to assist you and can verify your insurance coverage.
. Morgan, C. J., & Curran, H. V. (2012). Ketamine Use: A Review. Addiction 107(1), 27-38.
. National Institute on Drug Abuse. (2015). Research Report Series: Hallucinogens and Dissociative Drugs. NIH Publication No. 15-4209.
. National Institute on Drug Abuse. (2016). Commonly Abused Drugs.